The Eveleth Masonic Temple after expanding and remodeling the former town hall. 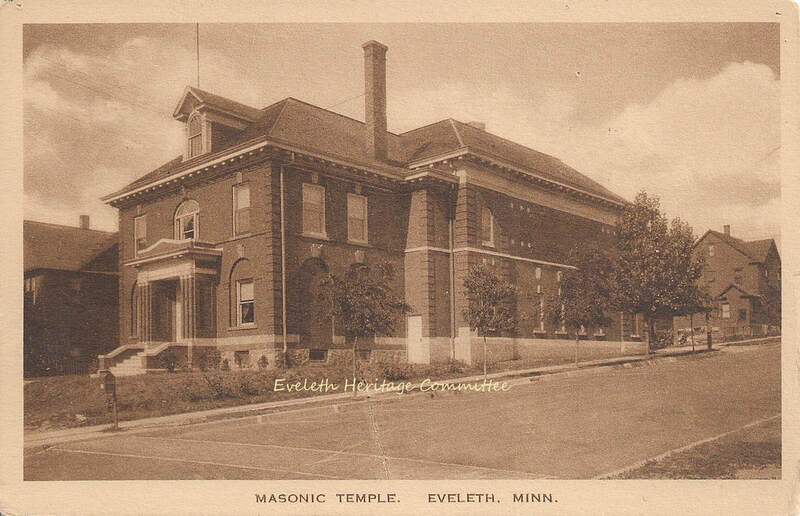 The old Eveleth Masonic Temple was located in the former town hall for the now-defunct Missabe Mountain Township. The original hall was built in 1906 and contained township offices and a large hall on the second floor. 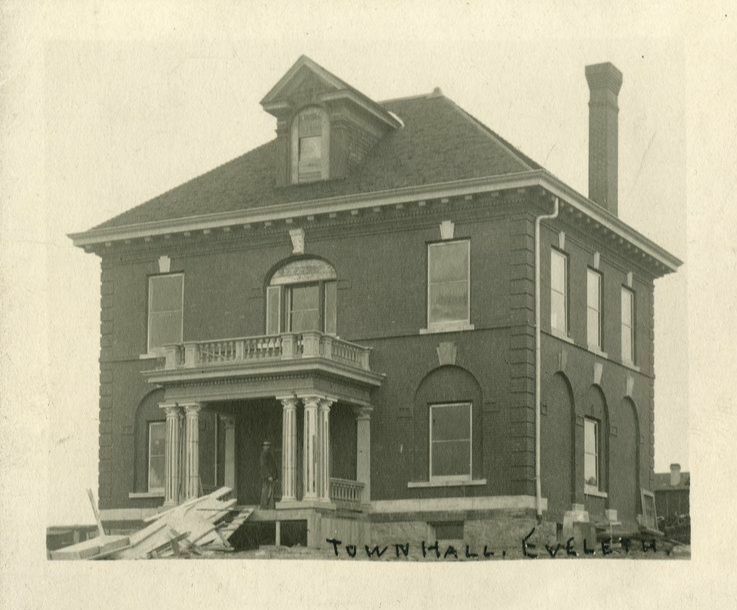 The building was outside the city limits until 1910. When the township offices were relocated, the Eveleth Masonic lodge purchased the building. The cornerstone for a new addition was laid on November 15th, 1919, and the expanded and renovated building was dedicated in October 1920. The project cost $55,000 and added a lodge room, lounge rooms, and a dining room/ballroom. ​The lodge was destroyed by fire in March 1973. Because of the cold temperature that day, the building was encased in ice following the fire. A house was later built on that lot. The cornerstone from the old temple sits outside the current one, formerly the First Lutheran Church.